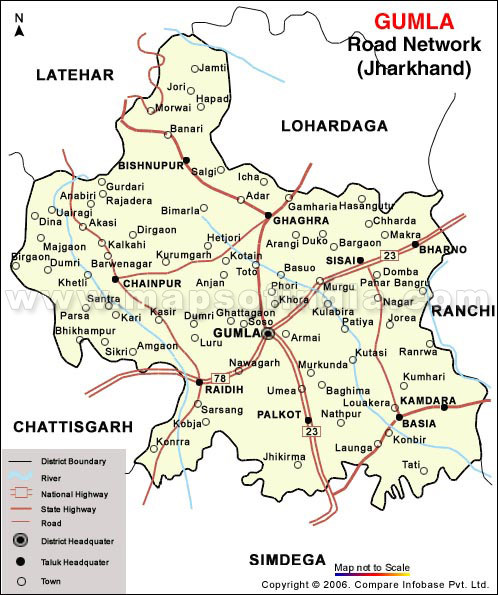 During British rule GUMLA was under LOHARDAGA district .In 1843 it was brought under BISHUNPUR province that was further named RANCHI .In fact Ranchi district came into existence in 1899. In 1902 Gumla became Sub-division under Ranchi district. Blessed with nature's beauty , the district of Gumla is covered by dense forests, hills and rivers. It is situated in the southwest portion of the Jharkhand State. The District was carved out of Ranchi District on 18th May 1983. The district lies between 22° 35" to 23° 33" north latitude and 84° 40" to 85° 1" east longitude. 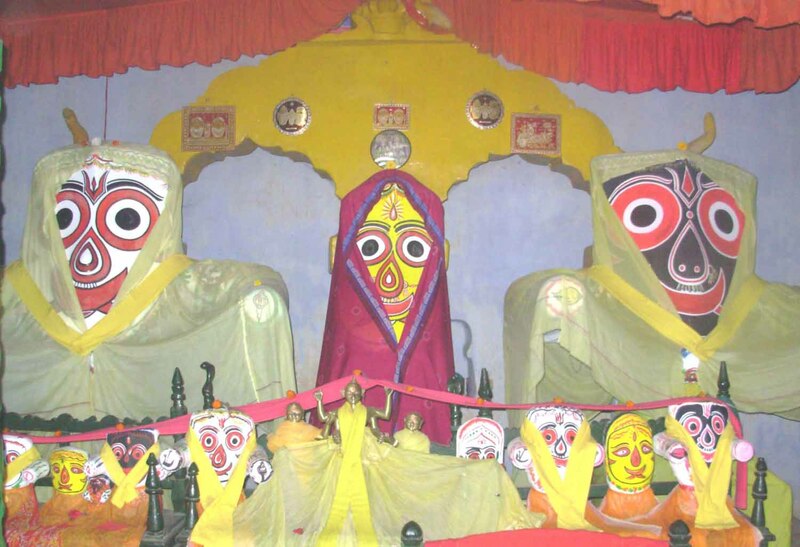 TANGINATH, THE GREAT TRISHUL, DEVI-MANDIR, SURYA KUND, RAJADERA, MAHADEV KONA, MAHAMAYA TEMPLE OF HAPAMUNI, DEVAKI, AANJAN, PAMPAPUR, MALMAPUR, PANDULATA & GHORLATA, GOBARSILLI, RAKASTONGRI, BHIMTONGRI, BASUDEOKONA, TARALOYA, NAGAR, NAGFENI, , BANPUR, PANCH PANDAVA PAHAR etc. Gumla is located 56.0 KM away from the nearest railway station 'Bano Railway Station'. Air :The nearest airport connected to all major cities of the country is Ranchi Airport. Road : Gumla is well connected via road with all major cities of state. NAGAR:It is situated in Sisai block. It is 9 KM from Sisai block headquarter. There is a fort of Nagbansi kings. It is said that CHHOTANAGPUR name of this region is given on the name of the Nagwanshi King as he was selected by the people ( small son - CHHOTA, NAG - Vansh ). 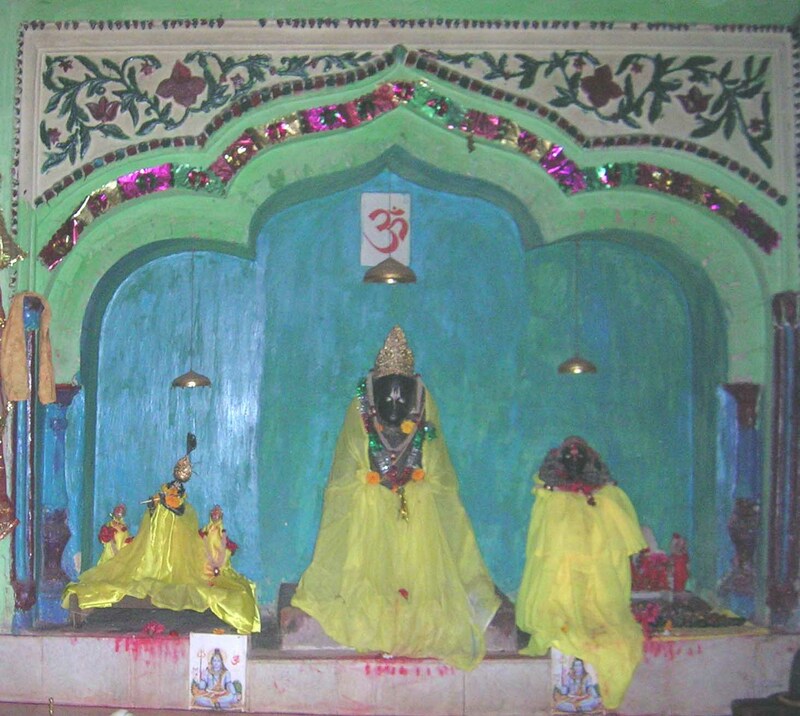 PANCH PANDAVA PAHAR: It is situated in Bishunpur block . It is a group of five hills so it is named Panch Pandava Pahar . It is believed that the pandavas had spent some times here during AGYATWAS . Their worship place is also situated here . Utensils of their daily use are present in the form of stones . Villagers believe that rain is certain if they offer water in that worship place. Sowing and harvesting is done at THAKUR DON near the worship place otherwise some misfortune occur. NAGPHENI:It is situated in the middle of Gumla & Sisai block. It is famous for the jagarnath temple and there is a big rock in the shape of snake "Nag" . It has its own natural beauty which invites the people to visit this place for picnic & to enjoy the time with friends & family. 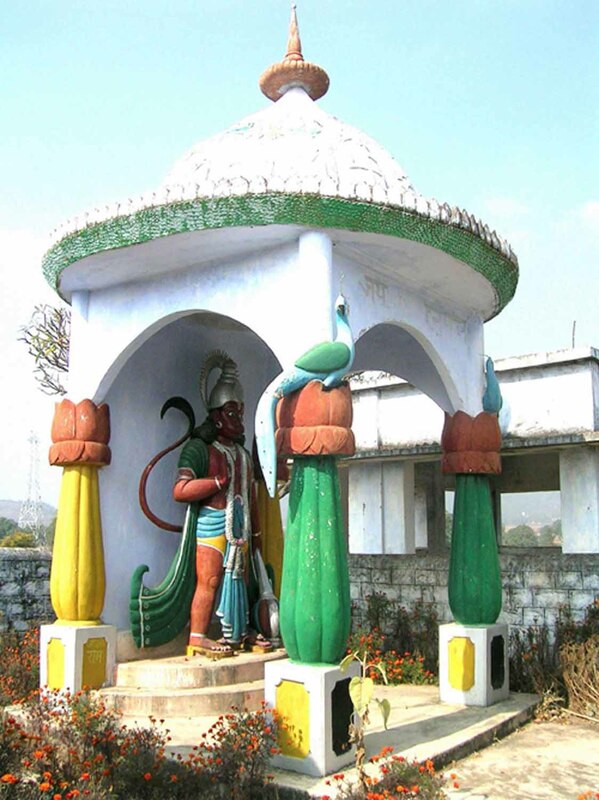 PALKOT: PAMPAPUR : There is a description of PAMPAPUR located on RISHIMUKH PARVAT in RAMAYANA. Villagers believe that the ancient PAMPAPUR is today's PALKOT. This fact is proven by a number of places of Ramayana era in its neighborhood such as ANJAN, where Lord HANUMAN born, RAMREKHA DHAM that is the place where Lord RAMA and SITA spent some times in their exile, UMRA where the hill is similar to KISKINDHA etc.PAMPASAR, a pond spread in about 1000 Sq.ft, is considered as a place of mother PUMPABHAWANI and a hidden way door to some place. It is a holy pond situated on the upper part of PAMPAPUR Mountain. Malmalpur : The vast mountains and hills of PALKOT have kept hidden a number of mysteries in its caves, brooklets, ponds etc. 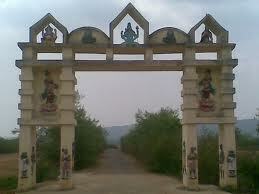 Palkot is situated on N.H.-23 (Gumla-Simdega National Highway) at about 25 KM from Gumla district headquarter. The caves of MALMALPUR and SHITALPUR are extra ordinary, where one cannot enter without a blanket even in hot summer month (Jeth). Villagers believe that the cave of MALAYPUR, where SUGRIVA had taken shelter in fear of his brother BALI, is today's MALMALPUR. PANDULATA & GHORLATA: are other caves, where a natural temple of Lord HANUMAN is situated. SIYARKHOH is a cave that provides drinking water to the whole population of this locality. AAMOTONGRI, BAGHLATA, MARIALATA, MUNIKANDRA, cave of SEVARI, BENGPAT (worship by the kings of NAGA dynasty), BUDHAMAHADEV, and NAVRATNAMUNDA etc are some other visible spots described in RAMAYANA GOBARSILLI : GOBARSILLI, a rock settled on a pointed top about 200ft.high is situated in Palkot Block about 1km away from the block headquarter. Villagers say that one's desire is fulfilled if he gets success in throwing a pebble (stone) across that rock . RAKASTONGRI : RAKASTONGRI (that means the hill of demon) is a place in the bottom of PAMPAPUR Mountain. According to public sayings it is the place where BALI had killed the demon DUNDUBHI .The sign of blood and arrow are still present here. It is located at the bottom of the Pampapur Mountain. TANGINATH: Tanginath is a place having several architectural works in its lap since the ancient era to the medieval era . It is not hidden but seems to be deprived of the eyes of the archeological society of India . It is an important place of archeological importance and must be brought into a subject of research . It is famous as SHIVASTHALI and is famous for great TRISHOOL of rustproof iron TANGINATH lies in Dumri block in Gumla district . It is at about 50kms away from Gumla headquarter and 8km from Dumri. One can reach Dumri easily but afterwards the path is not easy. There are several brooks and brooklets in between Dumri and Tanginath that remain filled with water during rainy season and make the mudway difficult . 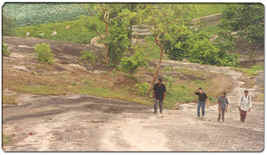 TANGINATH is situated on a hill about 300 feet high .After rainy season one may reach here without any difficulty . It is advisable to go by own vehicle for easy convenience .During MAHASHIVARATRI several buses run from Gumla to Tanginath . It is a place of religious as well as historical importance . he history of NAGVANSHI kings of Chhotanagpur , RUXELVANSHI kings of Surguja ,and that of BARWE kingdom has been written here . It is spread in an area of about 10000 square meter .the stone images of lord VISHNU, SURYA, LUXMI, BHAWANI and countless number of other deities are lying in open .Hundreds of SHIWALINGAS are placed here and there . Some images are still unidentified .Some believe that they are lord BUDHA .The main temple of lord SHIVA ,The great TRISHOOL buried in the ground, The sun temple ,The SURYA KUND are of great attraction .A number of SHIVLINGAS that are lying here are supposed to be of lord BUDHA'S period . KHAYA BANAROO:This notable picnic spot of Chatra is about 10 kms. from the district headquarters on the south-west of the town. One can travel by 8 kms of metalled road on Chatra - Chandwa Road and 2 kms. by fair - weather motorable road, the rest 2 kms. can be travelled on foot. The woods are lovely, dark and deep. The scenery is resplendent in all its exquisitely green sylvan beauty.The dancing waves of the stream, foam at places, producing a gurgling sound is sure to attract the tourists since the whole valley appears to be echoing with the sound," O listen for the vales profound !". RAJADERA:RAJADERA Rajadera is a village in Chainpur Block about 26 km south of NETARHAT and 19 km from Chainpur headquarter. The landscape and the climate of this village is attractive .It appears as a saucer . It has great scenic value .It is surrounded by hills on all sides .It is as beautiful as any other famous hill stations in India . People wrap themselves in blanket even during JETH month (summer season ). There is a DAK BUNGLOW of forest department and a CHURCH . 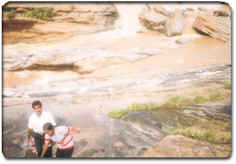 Tourists visit here to see the scenic beauty of the origin of SHANKH RIVER and the famous SADANI WATERFALL of Gumla . 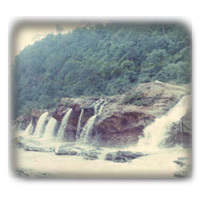 SADANI waterfall is at about 3 km from Rajadera village . Water falls from a height of 2600 feet .This waterfall is the origin of SHANKH river. 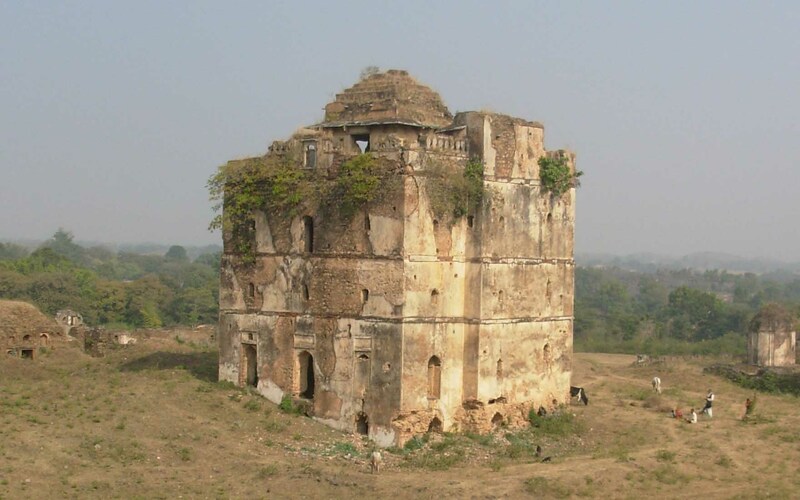 HAPAMUNI:HAPAMUNI ,a famous and ancient village , is situated in Ghaghara block at about 12 km from the block headquarter on Gumla - Lohardaga road . MAHAMAYA temple that is the identity of this village was constructed by GAJGHAT RAY ,22nd king of NAGA dynasty and the son of RAJA MOHAN RAY . He ruled between 869to 905AD . He handed over the caring of the temple to his GURU HARINATH ,a Rashtrakuta (Marathi) Brahmin .In 1391 AD RAJA SHIVDAS KARN established an image of Lord VISHNU .CHAITANYA MAHAPRABHU(1445-1535AD) had chosen this way during his visit to MATHURA from JAGANNATH PURI at about 1485 A.D. According to Ranchi Gazetteer some tribal people had destroyed the old temple during undisciplined KOLH REBEL against the DIKU. Songs by VIRMU RAM proves this fact. KAMDARA:Aamtoli : It is famous for an old temple of lord Shiva. Which is situated at the bottom of hill side. It is 10 km from Kamdara headquarter at Sarita panchayat. People come here to worship lord shiva the whole year but during SHIVARATRI an extra ordinary fair is held here . 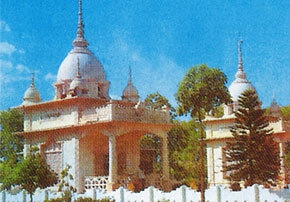 Banpur : It is situated at about 11 km from Kamdara in rerwa panchayat. 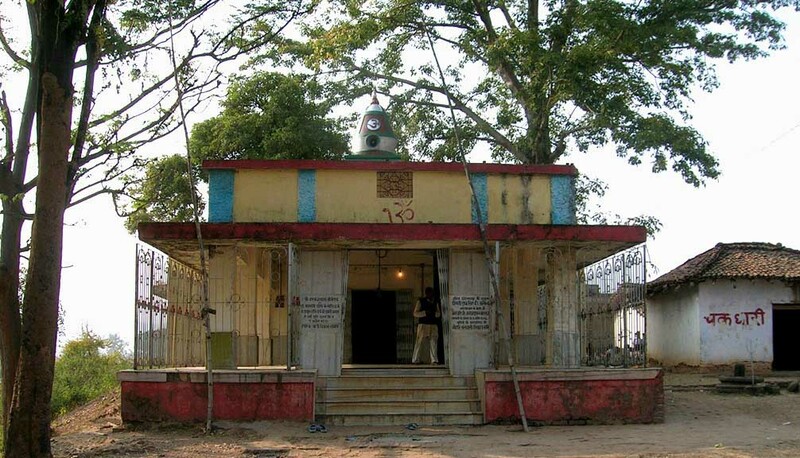 There is a famous old temple of lord Shiva at the bottom of a hill. There is a pond by the side of this temple where pilgrims take bath and worship the lord Shiva.On the eve of SHIVARATRI a grand fair is held here . 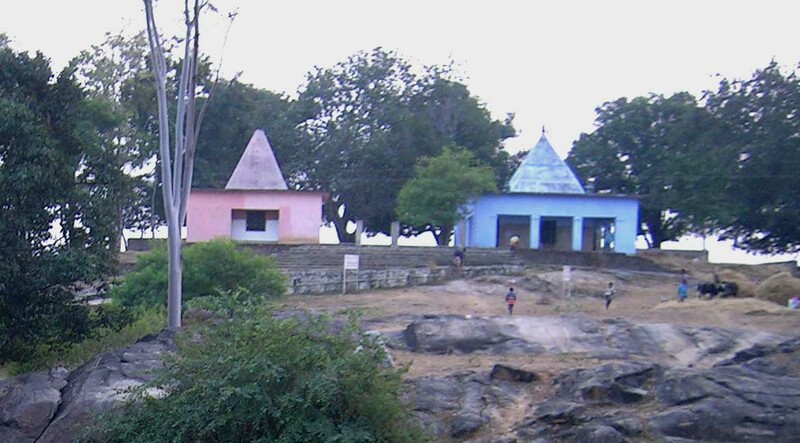 MAHADEOKONA:MAHADEV KONA has ability to cultivate curiosity .The number of SHIV LINGAS is so many that a devotee has to reach the SHIVA STHALI riding on the same .It is situated at 2 km away from Gumla headquarter on Ranchi -Simdega via Khunti road and 95 km from Ranchi on TIRRA HILL in BASIA block .It is a small hamlet on the bank of South KOYAL river surrounded by many hills .It is told that there was a great temple of LORD SHIVA that was constructed before MAHABHARATA period .The ruins of the temple still persists .It was constructed of stone. It is also told that the Magadh Emperor belonged to ASUR who ruled over this region for long time and he was a great devotee of lord Shiva .The Shivasthali proves the fact that the region was greatly affected by SHAIVISM .This region is also affected by ORIYA culture. MURHAR CHANDI,besides ancient DURGA MANDIR at Brahmin tola is also visible .MURHAR PAHAR and MURHAR MANDA (cave)has its own beauty .Roars of lion was heard here some decades ago in this cave . It is told that the cave is underground passage to Palkot . Great cave of BHUTKURIA TONGRI ,Remains of queen Lukpail ,JALKUND (Uper Jhariya,Niche Jhariya and Bagh duba),ruins of old palace etc are some other visible places here.